The Rotary Club of Sturgeon Bay’s annual shipyard tour is coming up on May 4. Photo by Jim Lundstrom. 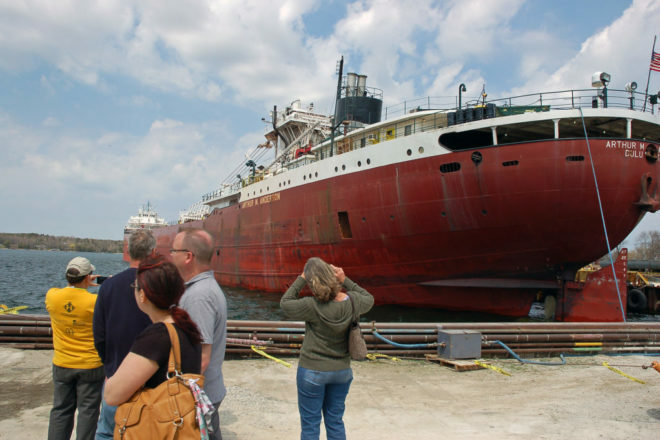 The Rotary Club of Sturgeon Bay’s 26th annual Shipyard Tour returns on May 4. For one day each year, Fincantieri Bay Shipbuilding and CenterPointe Yacht Services open their doors to the public for tours of the shipbuilding industry. Tickets are now available online. Those who would like to guarantee a ticket and secure early-bird pricing of $15 per person may visit sturgeonbayrotaryclub.org to purchase tickets in advance.